Once upon a time there was a girl. The girl loved macaroni and cheese. Throughout her life, the girl ate this dish in every configuration: the kind in the blue box with the powdered orange cheese, the kind in the yellow box with shells and creamy sauce, the frozen kind, the baked kind with bread crumb topping, the kind you make in the slow cooker. She just loved it, and would dare say that if stranded on a desert island with the choice of only one food to eat, she would choose macaroni and cheese. Then one day, serendipity paid a visit. She was on vacation with some girlfriends, and one night at a restaurant, she and her friend (shout-out to Crystal, hey girrrrl) ate some macaroni and cheese that knocked their socks off. They talked about it. They drooled over it. They went back to the restaurant* and had it again. During the same vacation, she and her friends were watching a local cooking show while lounging away the afternoon drinking margaritas in their pajamas. 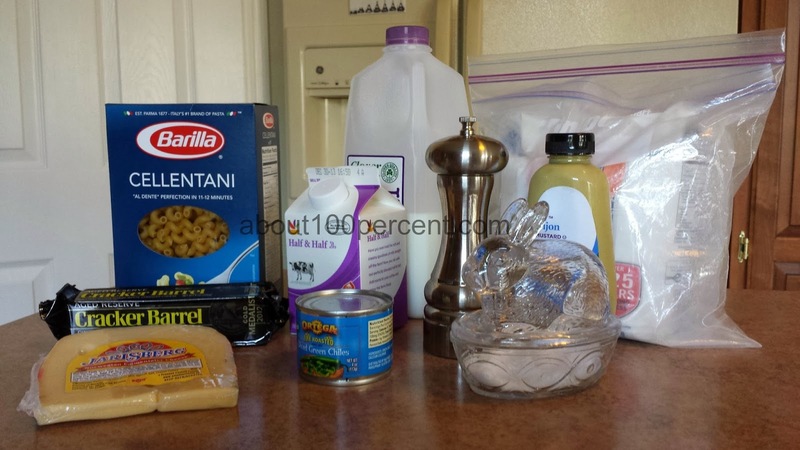 On the show was featured one dish: Stovetop Mac and Cheese. Their ears and eyes perked up as they realized that this dish was uncannily similar to the one they had enjoyed earlier. The steps were simple, as were the ingredients. I can do this, thought the girl. The girl came home from bacchanalia vacation and as life took a firm grip on her, she promptly forgot about the coveted dish. Months later, while preparing dinner menus for her family, she remembered the stovetop mac and cheese and its mouthwatering taste. She did some research and found a couple of recipes that she combined and adapted to approach the loveliness that was the dish that she had loved all those moons before. And now, she is sharing it with you. I mean, I am. Get ready, kids, because it’s magic time. 3½ cups of water. Measure it, because you will not be draining any liquid. Oh yeah, I said that. No draining, people. For real. 1¼ cup light cream or half and half. Are you someone who knows the difference between these two? Because I don’t. In my world, they are interchangeable. I don’t want to know the difference. 1 lb. macaroni. You know what I like to use? The large corkscrews. Bang. You can use whatever kind you want, but look - if you use spaghetti noodles or egg noodles because you are contrary like that, then you are a rebel in a bad way because this is just not going to turn out well for you. Salt. For flavor. You may be a spicy thing, but your personality alone cannot flavor this dish. Trust. 2½ T. flour. How else are you going to thicken the sauce? Come on, now. 1½ T. Dijon mustard. Yep. The fancy kind. Just go with the smooth, not the one with all the seeds in it. I like that kind too, but now is not the time to get it out. Save that one for when you want to have a nice ham sandwich or something. You know what would go well with this dish? Ham sandwiches. Black pepper. This is where I get fancy. I use fresh ground pepper. There’s something about the big grounds of pepper that I really get into. Conversely, they like to get into my teeth. See also: what is guaranteed to be sticking in my teeth every single time my husband takes my picture. 1½ c. milk. Because half and half or cream isn’t enough dairy, and we haven’t even added the cheese yet. 1 c. shredded aged white cheddar cheese. Don’t skimp here. Get the goods. Shred it yourself and stop being so lazy all the time. Watch the fingers. No one wants your fingerprints shredded into their mac. 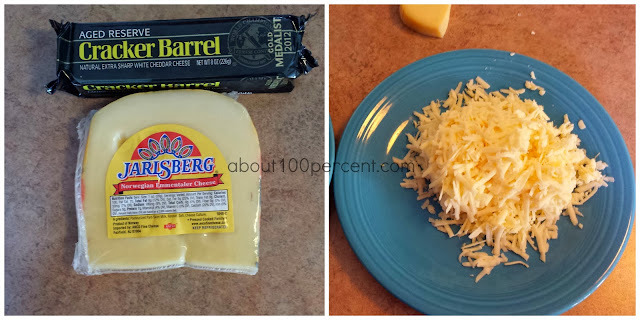 1 c. shredded swiss or emmental or gruyere cheese. Go ahead. Break out the furs and diamonds and get fancy here. You are only making the world’s most delicious food. Pick one or two and do it up. I use emmental cheese when I can find it because it rocks my world. In my area it's kind of hard to find, even with all the fancy grocery stores trying to outdo each other. You know where I can usually find it? Walmart. Take that, fancies. 2 to 4 oz. chopped green chiles. HELLO! SNAP! That just slapped you across the face, didn’t it? Never saw it coming. All the ingredients, sitting in a pretty little row. Do you like my flour canister? It's a plastic bag! 1. Put the water and cream in a large pot and heat it over medium heat until it is hot but not boiling. 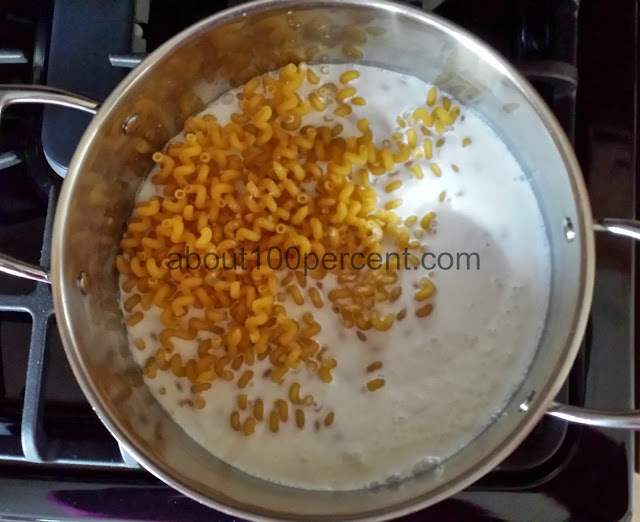 Stir in macaroni and a little bit of salt, like ¼ to ½ t. Cover and reduce heat a little and simmer until macaroni is almost tender, about 7 minutes. I don’t like mushy macaroni so I am a little nutsy about this timing part. I’m always reaching into the pot and burning myself on hot macaroni. You might do that too if you’re a chump like me, but I don’t recommend it. This is the part where it will threaten to boil over about a million times. Don't let it. Take control. 2. Whisk flour, mustard, and black pepper into the milk, and pour it into the pot. Stir. Pump up the heat a little and stir and cook until the sauce is thickened, maybe like 5-8 minutes. 3. Remove from the heat and dump in the cheese and green chiles. You don’t have to drain the chiles or anything. I use a whole 4 oz. can because I love green chiles. My kids hate them, but I don't even care one bit about their needs at this point. Stir to combine. Be the boss that you are. All I can think of at the stage is: "I'm gonna have to clean the pot and it's gonna be a nightmare." 5. Eat. My favorite instructino. And that is it. Deliciousness on the stovetop, and you didn’t even need to strain yourself or the macaroni, HA! I think this would be tasty with a melted butter and bread crumb topping and baked in the oven for a few minutes, but I have never done that. If you do, please let me know if I should bother. If you live through the tasting, that is. You might die and go to heaven from the sheer ecstasy of it. I sprinkled chives on top just because. I almost forgot! The ending to my true story! 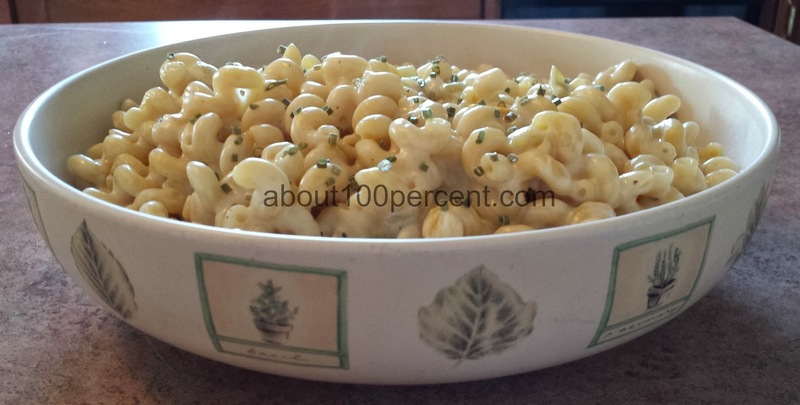 The girl ate this new mac and cheese regularly and gained ten pounds in two months. *5th and Wine, Scottsdale, Arizona. OMG so good. Have the bruschetta while you're there for the mac. This recipe is adapted from 5th and Wine’s menu and a recipe from the Dairy Farmers of Canada Real Cream that I found at allrecipes.com. Guess what? 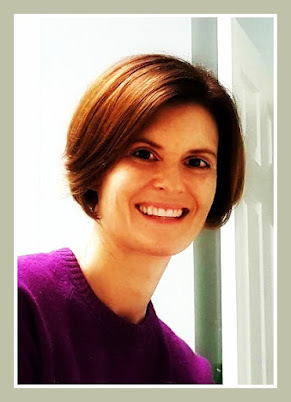 I'm syndicated on BlogHer today! and the resulting ego blow and humiliation. It's a fun time - see you there! Are you sure there's enough cheese in there? Thanks, Alison! I may have gone a little heavy on the cheese for the picture. And my arteries. And it was delicious. You really should make it sometime. Love it. Love your recipes. They make me simultaneously giggle and drool, which is admittedly a bit strange. We have the same flour canister! I love your directions!!! All cookbooks should be written this way! It sounds so yummy! I'll definitely be giving this a try! NO WAY! Do you double bag? I have to double bag. First, you had me at mac and cheese. Second, you really had me at no draining. Hello! So easy! 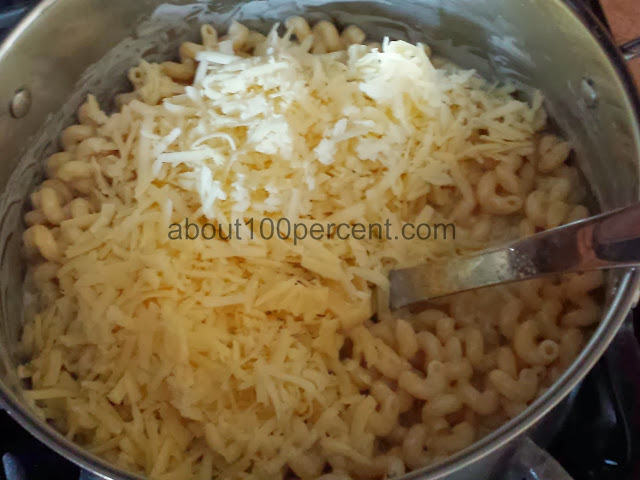 I have made stove top mac and cheese but always had to drain - this changes everything. OMG your life is about to get infinitely more amazing. I can just tell. And Yay! Fellow mac and cheese lovers unite!! That sounds and looks so delicious! Trying it for sure! If your son likes cheese, this is the way to do it up. Let m know how your family likes it!! I make my Grandmother's mac and cheese. Heavy, heavy, heavy on the cheese! Which makes it better :) Love this dish! I bet your Grandmother's mac and cheese is amazing, like most old recipes are, er, except for the one jello recipe I have that requires a dollop of miracle whip on top. You and my husband, both lovers of the Mac! I just LOVE your recipes!! In my mind, I am Italian. With the crazy accent and jarred spaghetti sauce and everything. Thanks, Elaine!! You should make this for your husband. He will love it! The 10 lbs is why I don't eat this stuff - but I do like to drool all over my computer thinking about how I want to eat it. YUM! In fact, you might say I'm reading it with much adoratino. p.s. Your cheddar cheese was a GOLD MEDALIST! (!!) You probably have a big mantle for the trophy. Am I right? Ooo la la! I have one convert! This is cause for a huge celebratino!! The cheddar IS a Gold Medalist! Only the best for my rapid weight gain. And yes. Cracker Barrel totally lets me display the trophy for their award-winning cheese in my home. "Your personality alone won't season this dish." I die. Also, OMG DELICIOUS. Thank you! I'm so glad you enjoyed it. And that it is all but gone in my house. I mostly stayed away from eating the whole bowl this time. Thanks, Carrie! I hope you are doing well!! I LOVE homemade mac and cheese. My kids hate it. They are box babies. But that won't stop me from making this! Also I have never made one with bread crumb topping that I liked. Always too dry. So I always leave that off anyway.